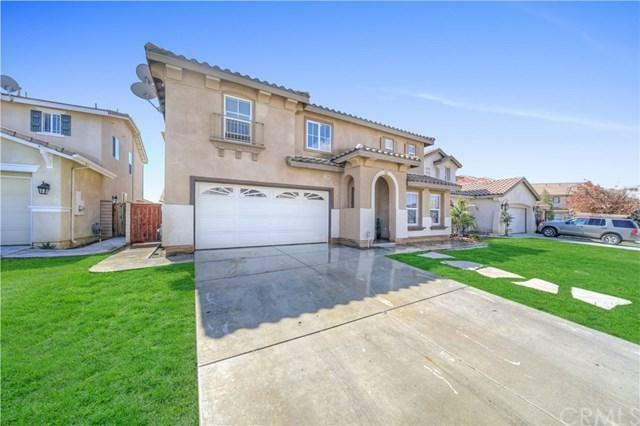 Don't miss this gorgeous and spacious, newer turnkey home with large backyard located on a cul de sac near schools, college, Lake Perris, and freeway friendly! This amazing home has been well cared for and features many upgrades. Admire the beautiful architectural elements such as the arched entry way, rod iron balcony, three tone paint scheme, and window shutters. The large driveway will fit everyone's cars and a boat or RV. 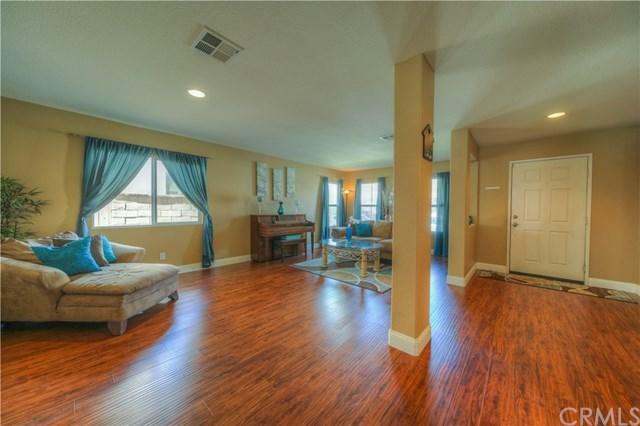 Walk in the door of this exquisite home to the open and bright formal living are Don't miss this gorgeous and spacious, newer turnkey home with large backyard located on a cul de sac near schools, college, Lake Perris, and freeway friendly! This amazing home has been well cared for and features many upgrades. Admire the beautiful architectural elements such as the arched entry way, rod iron balcony, three tone paint scheme, and window shutters. The large driveway will fit everyone's cars and a boat or RV. Walk in the door of this exquisite home to the open and bright formal living areas boasting hand scraped style laminate wood floors and plenty of windows. 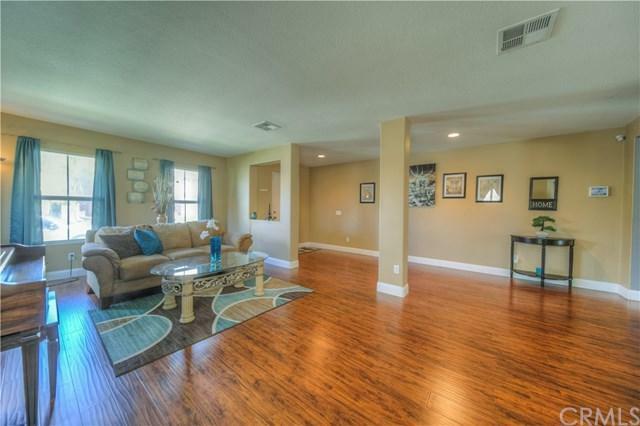 Continue into your amazing "Great Room" with family room, eating area, and kitchen all in one open space. This kitchen is complete with striking granite countertops, large center island with breakfast bar, plenty of cabinet space, and walk in pantry. The adjacent family room open is bright with plenty of windows to let in natural light. The bedroom and bath downstairs is perfect for an in-law suite, guests, or teens! Upstairs you will find a loft that can be used as game room, office, or whatever else your heart desires. 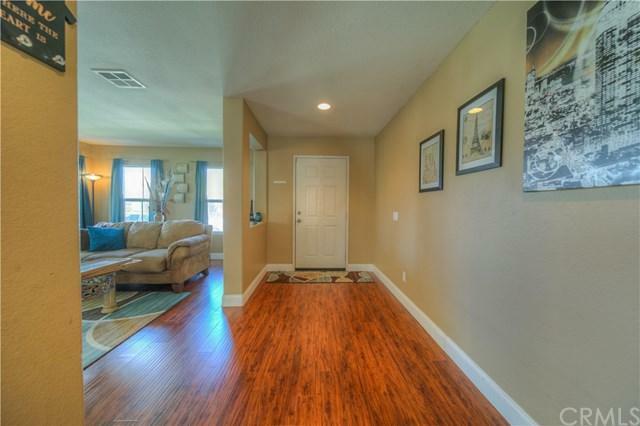 The spacious master bedroom has double door entry, entertainment nook, and his and hers walk in closets! The master bath has dual sinks, sunken tub and separate shower. The expansive backyard is a great place to entertain, just ready for your personal touches. This home is a great value and will not last! Special program if Buyer uses preferred lender Closing Costs will be covered. Listing provided courtesy of Turnkey Homes And Investments. Listing information © 2019 San Diego MLS, Inc.